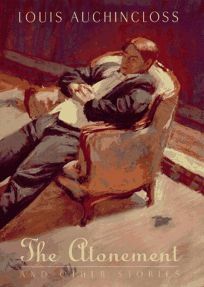 Fragile, often smug, and sometimes silly characters populate this noteworthy collection of 12 stories from the ever-prolific Auchincloss (The Education of Oscar Fairfax, etc.). The stories throw open once again his customary, sentimentally bittersweet window onto the declining WASP establishment. If one motif runs through these tales, it is collapse. Whether it's an insiders' financial network in ""The Atonement,"" the regularity of a golf game in ""The Foursome"" or the moral fiber of a boarding school chum in ""Realist in Babylon,"" some remnant of gentility is perpetually falling apart under Auchincloss's dismayed, nostalgic gaze. Despite the slightly static monologist style of ""The Golden Voice"" and ""Lear's Shadow,"" these glimpses of the Eastern elite's manners and moral quandaries will provide an accessible first taste for the Auchincloss novice and an enjoyable read for longtime fans. (Sept.) FYI: This collection is being published to coincide with Auchincloss's 80th birthday.